Comments Off on Rights of Registrar of Companies. Author : Manish Goyal, CNLU, Patna. The Registrar of Companies (ROC) as defined under Section 2 of the Companies Act, 2013, is appointed by the Ministry of Corporate Affairs which is responsible for the regulation of Indian companies. At present, there are 22 Registrars of Companies holding offices in the major states of India with a number of functions and equipped with certain powers under the Companies Act of 1956 and Companies Act of 2013, the ROC is responsible for fostering business ethics and plays a dominant role in facilitating business culture. The company is said to be established from the date mentioned in the certificate of incorporation. Not only does the certificate create the company, it also is “the conclusive evidence that all requirements of this act have been complied with in respect of registration and matters precedent and incidental thereto and that the association is a company authorized to be registered and duly registered under this act”. In other words, the validity of the certificate cannot be disputed on any grounds whatsoever. “Their Lordships will assume that conditions of registration prescribed by the Indian Companies Act were not duly complied with; that there were not seven subscribers to the memorandum and that the registrar ought not to have granted the certificate, but the certificate is conclusive for all purposes”. That a part of the property or undertaking charged has been released from the charge or has ceased to form a part of the company’s property or undertaking. The registrar may enter in the register, a memorandum of satisfaction in whole or in part of the property or undertaking from the charge or has ceased to form a part of the company’s property or undertaking even if no intimation to the effect has been received by him from the company. Within 30 days of making such entry, the registrar has to inform the affected parties. As per the Companies Act, 2013, the Registrar may require any company to furnish information or explanation or produce any document, if after scrutinizing any document or on receiving any information, he feels that such documents are necessary. The Registrar may also inform the company of facts, seek its reply and order an inquiry if he has reason to believe that the business of the company is being carried out for a fraudulent purpose, or not in compliance with the Act, after giving the company a reasonable opportunity of being heard. The Registrar is empowered to obtain an order from the Special Court for the seizure of books and papers of the company if upon receiving information or otherwise, he has reason to believe that these books, papers of the company are likely to be altered, mutilated, falsified, secreted or destroyed. The Registrar or Inspector is further allowed to take copies and extracts of such documents. 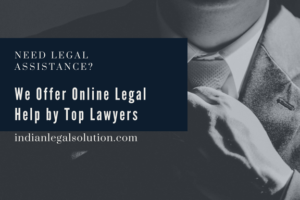 The company is not carrying on any business for 2 immediately preceding financial years and has not applied under Section 455 for obtaining the status of a dormant company. According to Section 77, it is the duty of every company creating a charge to register the particulars of the charge with the Registrar of Companies. A charge on the property or assets of the company whether tangible or otherwise, situated in or outside India has to be registered. It is required that this instrument of charge be in the prescribed form and be filed with the prescribed fee within 30 days of its creation. The Registrar can, however, permit for registration within the extended period of 300 days on the payment of the prescribed additional fee. As per Section 77(2), the Registrar is required to issue a certificate of registration in the prescribed form and manner to the company as well as to the charge holder, as the case may be. A balance sheet as at the end of the financial year. A profit and loss account, or in the case of a company carrying on any activity, not for profit, an income and expenditure account for the financial year. Cash flow statement for the financial year. Any explanatory note annexed to or forming part of any document referred to in sub-clause (i) and sub-clause (iv). A copy of the financial statement, etc, as adopted by the company in general meeting has to be filed with the Registrar within 30 days of the AGM in accordance with the prescribed manner. Even where the requisite documents have not been adopted by the AGM, they have to be filed with the Registrar who is to record them as provisional till the duly adopted statements are filed with additional fees. In case of One Person Company, the statement adopted by its member has to be filed within 180 days from the closure of the financial year. In case of one or more foreign subsidiaries which have not established a place of business in India, accounts of such companies also need to be attached to the financial statements. Where an AGM could not be held, the documents would have to be filed with the Registrar in the same manner as if the meeting was held but explaining the reasons why the meeting could not be held. Dowry Death : Laws, Effects, Causes : Know your Rights.